Above all, we commit ourselves to making sure we are continually introducing and improving products that help people lead healthy lives. We strive ourselves on continually utilizing the newest innovations in the health & wellness industry to make sure our products lead the way in terms of efficacy, price and safety. We only have one earth and it needs our help. We commit to being an integral part of the solution because any other alternative is unacceptable to us. We want to earn your trust with every interaction you have with our brands. We will always rise above other brands that utilize shady business practices and dishonest marketing claims. Be Updated On Raw Athletics Announcements! 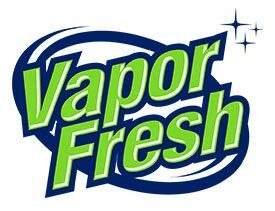 Vapor Fresh® is our line of safer cleaning products designed to keep up with active lifestyles. Used by pro and collegiate sports programs, fitness centers, spin studios and families across the country. Vapor Fresh® Laundry Detergent is strong enough to wash even your smelliest gym clothes yet gentle enough for the rest of your laundry. It's formulated with advanced cold-water enzymes that allow you to wash in cold water but clean as if you're using warm or hot. This will extend the life of your clothes, especially your activewear, and save you up to $200 per year in energy costs.